10 Ways to Hack Your Chamber of Commerce for Results — February 7, 2013, John McKown – Some Chambers of Commerce are good, and some just aren’t. This article tells business owners how to get all the benefits of a Chamber without having to join. Written by a man who worked as a web host and website developer for more than a dozen Chambers of Commerce for 15 years, but who no longer takes them as clients. Full of great tips and secrets! THERE IS A far less expensive and friendlier ALTERNATIVE TO THE G.J. CHAMBER! For business owners who want to belong to a chamber but want to avoid the G.J. Chamber’s troubled reputation, check out the newly-formed Western Colorado Latino Chamber of Commerce. At just $80/year and $70/year for a sole proprietorship, their dues are extremely affordable. The Latino Chamber has frequent networking mixers and has vowed to stay out of local politics. You’ll also get the benefit of networking with a whole new sector of people who are in business in this area, and the ability to tap into entirely new markets for your products or services! • Biz Buzz: Send news items about your business when it first opens, moves to a new location, changes hands or closes to Biz Buzz at BizBuzz@gjsentinel.com. Please put “Biz Buzz” in the subject line. • Biz Briefcase: Send news about your business when it receives recognition or wins an award, hires a new manager, promotes an employee or has an anniversary like 25 years in business or 10 years at the same location. Attach a photo with resolution of 200 dpi or greater to the email and send it to BizBriefcase@gjsentinel.com. Put “Biz Briefcase” in the subject line. Biz Briefcase debuts Nov. 14 with the first edition of the Daily Sentinel’s new Thursday Business Section. Take advantage of these free opportunities to spread the word about your business in the Daily Sentinel. Call (970) 256-4247 for more information. May 29, 2018 – Here is more proof the Grand Junction Area Chamber of Commerce is bad for democracy. Their “article” in their weekly ad in the Daily Sentinel urges people not to exercise their democratic right to sign statewide petitions for issues, including a 2500 ft. drilling setback, promoting quality public education, allowing immigrants to get ID cards and driver’s licenses, and an increase in severance taxes (paid by the oil and gas industry only) from 7% to 10%. The ad is titled “Decline to Sign!” and features a graphic of an international “no” symbol superimposed over a petition and pen. The chamber’s Daily Sentinel ad from Tuesday, May 29, 2018 discouraging people from even considering signing state-wide petitions. May, 2018 – The Chamber endorses an eminently unqualified candidate for Grand Valley Drainage Board simply because she matches the chamber’s Tea Party ideology. Candidate #1 was Dave Edwards for the Division 3 seat on the Grand Valley Drainage District Board. Dave served as mayor pro tem of Palisade for 8 years and was on the 5-2-1 Drainage Authority board all that time. He had taken trainings in stormwater management and knows the subject well. He subscribes to and reads periodicals about stormwater management. But the G.J. Chamber endorsed a candidate for the position who moved to the Grand Valley from San Diego 2 years ago, had no knowledge of stormwater management or local drainage issues and has never attended a single meeting of the GV Drainage District or the 521 Drainage Authority. The chamber’s endorsement matches their long track record of endorsing unqualified and candidates simply because the candidates fit their Tea Party ideology. August, 2017 – Working in a vacuum as usual, The G.J. Chamber cooked up an idea to change the name of “North Ave.” to “University Boulevard” — supposedly to increase economic development in town as a whole — and convinces the Grand Junction City Council to go along with it, without either entity asking Grand Junction residents what they thought about the proposal. City Council passes an ordinance to make the name change effective as of March, 2018, and local citizens go ballisstic. Aggrieved businesses owners, who would foot the bills and endure hardships to accommodate the name change organize, and citizens angry at the chamber organize to protest and successfully gather over 7,000 signatures on a petition to force a special election to keep the name of the street “North Avenue,” trouncing the Chamber and convincing City Council to back down and reverse their decision by early November. G. J. Chamber admits it “Hasn’t Even Considered” legalizing retail Marijuana in grand junction as a Way to Boost the Local Economy! 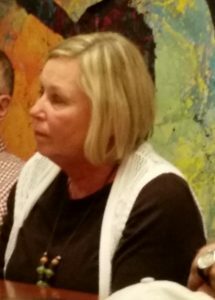 Diane Schwenke, the CEO of the Grand Junction Area Chamber of Commerce, said at a meeting at Main Street Bagels this morning that the chamber’s board hasn’t even discussed or considered the possibility of bringing retail marijuana commerce to Grand Junction as a way to boost the local economy. Schwenke made the statement after being asked about the chamber’s position on retail marijuana, which over the last two years has proven to be one of the biggest economic drivers in elsewhere in the state. 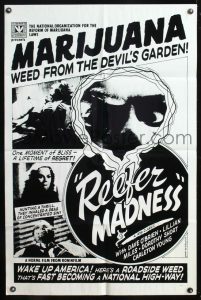 Marijuana became legal in Colorado 2012 after the passage of Amendment 64, but jurisdictions can opt out of allowing its sale or cultivation within their borders. The City of Grand Junction and Mesa County opted to ban marijuana commerce, but home rule cities in the County like DeBeque can still choose their own direction and permit marijuana commerce if their citizens desire. DeBeque voters approved the sale of retail marijuana 2014 and haven’t looked back. The move has proven to be the town’s economic salvation at a time when the drilling industry has been fading. As of May 27, 2016, 71 percent of the Colorado’s jurisdictions have decided to allow retail marijuana commerce. The result has been a distinct uptick in economic growth and sales tax revenues in the state in places where marijuana commerce is allowed. But Grand Junction and Mesa County citizens have not been allowed to partake in the new marijuana economic boom. Instead, our local economy continues to languish while much of the rest of the state enjoys the prosperity legal marijuana has brought. Despite all the information now available about the economic benefits of retail marijuana, self-proclaimed local economic cheerleaders like the G.J. chamber scratch their heads and wonder aloud what they can possibly do to change our area’s fortunes. Could the answer be sitting right under their noses? A banner ad on the Chamber’s website claims the chamber takes the lead in shaping laws that affect business on the western slope, but citizens, not the chamber, are the ones working to bring marijuana commerce — a proven, high-paying growth industry employing tens of thousands of people throughout the state — to Grand Junction. The data is now in, and there’s plenty of it. According to the Denver Post, the cannabis industry has bolstered retail and manufacturing job growth in Colorado. Retail sales of marijuana started in 2014, and that year Colorado saw an immediate 3.5 percent jump in employment. By February, 2015, there were 15,992 people registered to work in the cannabis industry. The marijuana sector is providing high-paying jobs, too. The employment website Monster.com says after getting a foot in the door of the marijuana industry as a trimmer or retail worker, the positions to which people get promoted often pay $50,000-$90,000/year. Marijuana has boosted the fortunes of a host of ancillary industries, too, like tourism, agricultural suppliers, residential and commercial real estate construction, manufacturing, analytic laboratories, security companies, accounting firms, legal support and other sectors. The state expects to collect about $94 million in cannabis taxes this year. The housing market in Denver is booming, and none of the dire predictions of dazed people stumbling around the streets and significant increases in crime have come true. In fact, Marijuana-related crime makes up only 1 percent of all crimes committed in Denver, and marijuana arrests have actually decreased (pdf). Amid all this data, and despite its mission of promoting economic growth in our area, the Grand Junction Chamber has turned a blind eye towards the marijuana industry by failing to even consider, mention or discuss the possibility of bringing marijuana commerce to our area as an economic driver. In the mean time, our area has some of the highest unemployment, lowest wages and highest levels of suicide, poverty and homelessness in the state. Schwenke also said at the meeting that she was unaware that there are now more than triple the number of cannabis shops in Colorado than Starbucks (690 marijuana storefronts vs. 216 Starbucks as of April 20, 2016) although she did say she was aware the cannabis industry has brought highly-paid jobs to the state. When asked how the chamber board can continue to ignore this growing area of commerce and all the benefits it has been bringing to other parts of the state, Schwenke just shrugged and said “Sign the petition,” referring to the petition being circulated by citizens to make marijuana commerce legal again in Grand Junction. April, 2016 – The chamber proves it is out of touch with the community once again after it pours $48,000 into a campaign to convince citizens to tax themselves build an events center in downtown Grand Junction. The ballot measure proved a wildly unpopular proposal, losing by a huge margin at the ballot box, with 71% of voters opposing the idea. December 14, 2015 – Coal dead, but real estate, construction our best hope – Greg Ruland, Grand Junction Daily Sentinel business writer, reports that Richard Wobbekind, Dean of the University of Colorado Leeds School of Business and executive director of research at the school, informed the Grand Junction Chamber of Commerce that “western slope coal [mining] lies on death’s door” and is “dead for now” as an economic pursuit for the western slope. Wobbekind also says the local news is also negative for the oil and natural gas industries. Wobbekind says Mesa County’s economy “lags in ever sector compared to Denver.” He suggest outdoor recreation, travel and leisure are bright spots in the area’s potential for economic development. The chamber continues to champion extractive industries in our area. December 13, 2013 – “It is pathetic when only 240 out of 1,000 chamber members took the time to weigh in on what the future plans of the chamber should be. When you only get a 1/4 response and use it to say 90 percent of members are satisfied with their chamber membership, it does not compute.” — Anonymous “You Said It” comment in the Sunday 12/13/15 Daily Sentinel. When [former city councilman Rick] Brainard refused to resign after his conviction, women’s rights advocates turned to the Grand Junction Chamber of Commerce for help. The Chamber responded by hiring security guards to keep advocates from Chamber property and blocking anyone from their Facebook page who requested that they oppose domestic violence. Neither the Mesa County Republican Party nor the Grand Junction Chamber of Commerce ever provided further clarification about their position on domestic violence. –Businesses on 25 Road almost unanimously opposed Referred Ballot Measure 2B, an extension of the Riverside Parkway through existing roadways that would have let the City seize the land in front of 25 Road stores and tie up 25 Road in reconstruction for many months. Despite local business owners’ strong opposition, the Grand Junction Area Chamber supported Measure 2B. Why? “Buy local” is doomed for failure as long as people like me will never shop in a chamber [member] store. As long as the Chamber of Commerce …supports the ultra-conservative crazies, I will continue, with others, not to set foot in these stores. On Feb. 1, I opened The Daily Sentinel to see that the Chamber of Commerce has given the Business of the Year Award to Home Loan and Investments. Do we have to run a retread around the block again? No other business was deserving of this award that had not been recognized before by the chamber? Then I read on to see the Grand Junction Rockies is awarded the Small Business of the Year Award. This is a business that is open three months of the year, has its payroll subsidized by a multi-million dollar corporation on the Eastern Slope, spends upwards of 50 percent of its budget while on the road in other communities, has little or no cost for health insurance because most of its employees are part-time and still on Mom and Dad’s insurance policy. So, just how many full-time, year-round employees are there? I think it’s time that Diane Schwenke and the chamber get out of the political arena, drop membership in the “Good Ole Boys Club” and get out there to meet the companies and their owners that really make this community what it is. February 5, 2014- KREX-TV, Channel 5 News: G.J. Mayor/chambermade Sam Susuras is publicly rebuked at a City Council meeting for openly backing Airport Board’s fraudulent use of federal funds. This photo appeared in the Daily Sentinel on 11/28/13 showing the G.J. Chamber Board holding a meeting at a lodge in Utah. The photo was positioned directly underneath a survey that showed local business owners want the chamber to promote patronization of locally-owned businesses. Nothing amiss about Utah trip, chamber insists; Prez: Moab retreat fits mission – November 28, 2013, Charles Ashby, Grand Junction Daily Sentinel – Discusses a half-page ad the chamber placed in the Sentinel on Monday, Nov. 25, 2013 that gave results of a “buy local survey” in which 85% of responding chamber members said they wanted the chamber to promote shopping locally. Directly below the survey was a photo of the chamber board holding its meeting at a lodge in Moab, Utah. When questioned about the contradiction the ad represents, chamber board president Michael Burke said “Moab is in our region.” Moab is a 113 mile drive from Grand Junction and is in another state. Chamber hires out-of-town attorney to fight its online critics, September 20, 2013, Charles Ashby, Grand Junction Daily Sentinel — Chamber hires a Denver attorney, instead of a local attorney, to intimidate its critics by threatening legal action against GJChamber.info. Regretting What We Wrought, Jim Hoffman (realtor/columnist), August 8, 2013, Grand Junction Free Press (Op-Ed) – writer discusses the community’s lack of confidence in the Chamber-selected city council members (the three “chambermades'”) — decision to usurp the city charter by skipping holding an election and instead appointing two new council members (one to replace Rick Brainard, who resigned, and one to replace Harry Butler, who died). Hoffman cites the “arrogance of the G.J. Chamber of Commerce” in denying citizens the chance to elect their own replacement representatives on Council. Scandal Plagues Grand Junction City Council, Cori Coffin, KREX-TV, July 23, 2013 — TV news report in which City Councilman Jim Doody says “he couldn’t sit by as some council members changed public policy to fit their agenda.” Doody was referring to chambermades Norris, Susuras and Chazen and their unprecedented act to declare themselves a majority on the seven-seat Council, against the advice of City Attorney John Shaver. Politics and Business, July 21, 2013, Charles Ashby, Grand Junction Daily Sentinel — describes the Chamber’s recent foray into local politics, chamber president Diane Schwenke’s compensation package and how it differs from comparable chamber presidents, the GJ Chamber’s lobbying expenditures compared to similar chambers around the state, the GJ Chamber’s selectivity about its membership, the Chambers behind-the-scenes effort to influence a land use issue and the growing public backlash against the Chamber. Chamber: No change in support for Brainard – June 22, 2013, Duffy Hayes, Daily Sentinel – The Chamber refuses to renounce its support of Rick Brainard even after he admits assaulting his girlfriend to G.J. Police his official arrest affidavit. Grand Junction Council Cuts Chamber Contributions, May 2, 2013, 9News Denver (NBC affiliate). The Grand Junction City Council cuts funding for the local Chamber of Commerce over concerns the chamber has become too political. Chamber reacts to City Council membership withdraw, May 2, 2013, Amanda Brandeis, KREX-TV Channel 5. Chamber president Diane Schwenke states she has gained enough new members to compensate for loss of the City’s $6,000 membership. G.J. City Council Withdraws Membership from Chamber of Commerce, May 1, 2013, KREX-TV. GJ Chamber’s endorsement of Rick Brainard raised questions about the Chamber’s political involvement in municipal elections; City Council votes to pull their membership in the Chamber. YouTube video of Diane Schwenke speaking at the Mesa County Republican luncheon, next to a cardboard cutout of Ronald Reagan. She tells the audience the Chamber does not take government funds, and that the loss to the Chamber of the City’s $6,000 in dues was inconsequential in light of the Chamber’s $600,000 annual budget. Despite saying the chamber doesn’t take government funds, she thanks chambermades Marty Chazen and Sam Susuras for restoring City (government) funds to the Chamber as their first act after their swearing in ceremony. Residents Protest G.J. Chamber’s Support of Brainard, April 29, 2013, John Dias, KREX-TV (CBS affiliate) — TV news report of citizens marching and picketing against the Grand Junction Chamber of Commerce over its continued support of Rick Brainard. The Continuing Trouble with Rick Brainard, June 23, 2013, ColoradoPols blog — Cites the Chamber’s failure to uphold its promise to the public to review its position on Brainard after he was adjudicated. GJ Chamber to lobby only on business topics – January 28, 2009, Daily Sentinel – Remember the days when the Chamber could see when it was overstepping the limits of its political activity? Key quote: “Colorado Mesa University Tim] Foster said he heard that the chamber had become a ‘laughingstock’ for opting to lobby on so many bills.” That year, the Chamber actively lobbied on 49 bills.